Recently Landmark issued a press release about its 25th anniversary. The staff of Landmark News worked together to do research, ask questions of Landmark, and give many detailed facts regarding Landmark’s evolution over the last 25 years. We hope that readers find this illuminating and interesting. 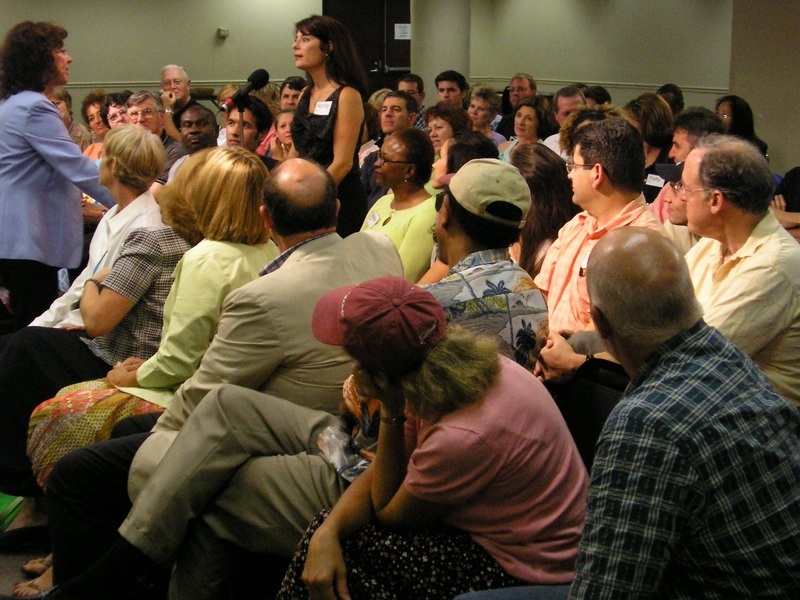 More than 2.4 million people worldwide have participated in Landmark programs, starting with The Landmark Forum, and their lives have been marked by enhanced productivity, more enjoyment, better quality in their relationships, more confidence, peace of mind and, for many, a profound awareness of making a difference. Landmark participants have launched more than 100,000 community projects, many of them not only still going, but into a third successful decade. Meanwhile, Landmark’s corporate consulting division, Vanto Group, has transformed the operations of myriad international, multi-billion dollar corporations as well as small companies, non-profit groups and governmental bodies. 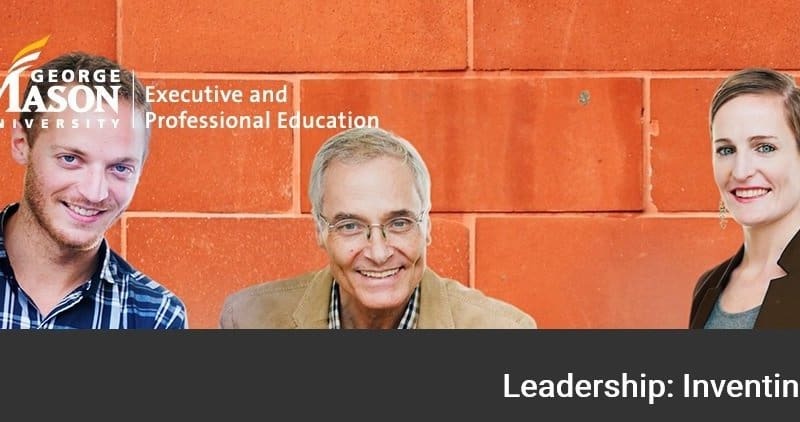 Landmark is observing its 25th anniversary year and celebrating its emergence as one of the world’s leading providers of personal and professional development programs. Over Landmark’s first 25 years, development, growth and recognition have prevailed, all of which seemed doubtful in the beginning. Landmark’s very existence was precarious when its founders purchased assets and intellectual property from Werner Erhard in February 1991. The first year’s net profit was less than $1,000. Looking from a new perspective, the organization introduced a new program series called The Curriculum for Living, consisting of The Landmark Forum and three other courses. The series was designed to induce and coach people to create and implement new futures for themselves and their communities, and it propelled Landmark toward its evolution. Between 1992 and 1998, the company grew swiftly. 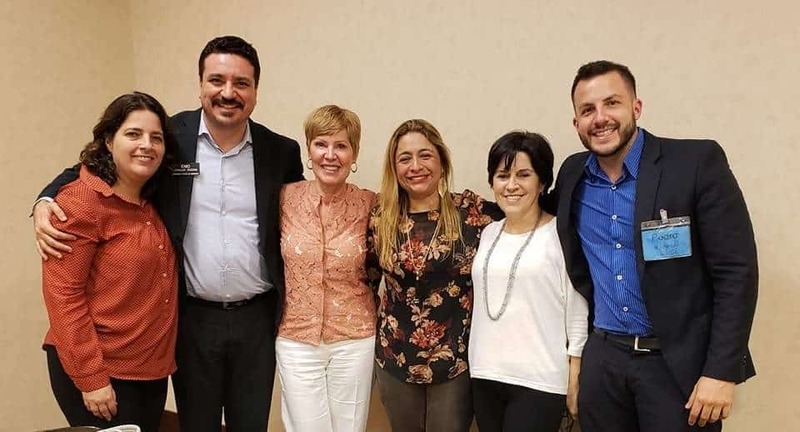 The Landmark Forum was offered for the first time in India, Mexico, Kenya, Uganda, South Africa, Zimbabwe, France, Denmark, the Netherlands, Ireland, and the Cheyenne River Lakota Indian Reservation in South Dakota. New offices opened throughout the United States, Europe, and Asia. In 1998, the company initiated an extraordinary new program, a year-end cruise, offering concepts from Landmark’s Wisdom Unlimited course aboard a luxury ocean liner. The popular cruise has since been revamped as an upscale resort vacation. Then US President Clinton, and Labor Secretary Robert Reich listen to Magma Copper Executives following breakthrough in union/management relations leading to record performance. 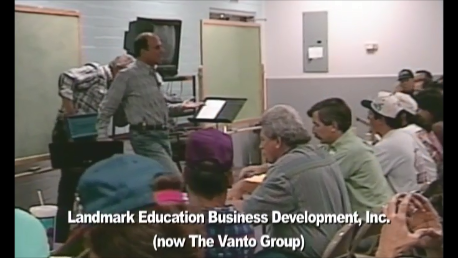 The 1990s also saw Landmark’s Vanto Group take off. In 1998, a case study from the USC Marshall School of Business detailed the difference the Vanto Group had made in dramatically enhancing the performance of New Zealand Steel. This study inspired dozens of Fortune 500 companies, government departments and non-profit organizations to seek Vanto’s training. Vanto is working with companies as diverse and renowned as Apple Inc., Banco do Brasil, BHP Billiton, GlaxoSmithKline (Europe), Guidant Corporation, JPMorgan Chase & Co., Lockheed Martin, Mercedes-Benz USA, NASA, New Zealand Steel, Reebok International Ltd., the U.S. Department of Health and Human Services, and Walgreens. Following work with Vanto (Then LEBD) Magma Copper and their unions created an unprecedented 15 year agreement which included extensive community investment, huge increases in safety and production breakthroughs that set records. This Landmark Forum in Bangkok, Thailand, was attended by more than 2,000 people. The 2000s saw continued expansion into new cities and countries including Romania; Beirut, Lebanon; Bangalore and Delhi in India; Kingston, Jamaica; Ethiopia; Rome, Italy; and Istanbul, Turkey. Under the leadership of the late Jerome Downes, participation in Landmark’s programs all over Asia dramatically increased, including Beijing, Shanghai and Hong Kong in China; Manila in the Philippines; Seoul, South Korea; and Bangkok, Thailand. In 2009, The Landmark Forum was held in Lebanon. In 2010 The Landmark Forum was translated into Persian (Farsi) for the first time, and over the last couple of years, certain Landmark Forums have been translated into Vietnamese. 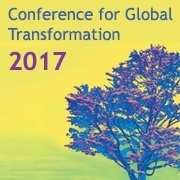 In 2001, Landmark introduced an annual convention, The Conference for Global Transformation, an inquiry that features an array of keynote speakers, breakout sessions, papers and posters. The conference is attended by hundreds of Landmark graduates from around the world. In honor of the contributions of first responders on September 11, 2001 and in the months that followed, Landmark began offering scholarships for its programs to police and firefighters. In 2003, striking reporter reviews of The Landmark Forum appeared in The Guardian and in The London Times. 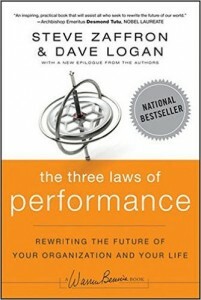 The Three Laws of Performance spent several weeks on the New York Times best seller list. 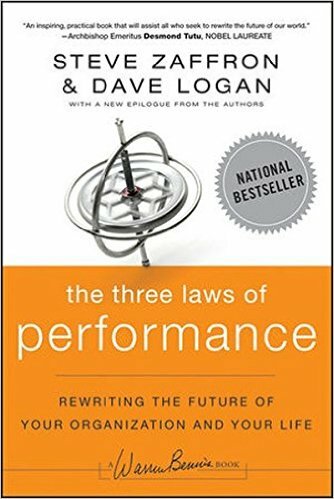 In February of 2009, the book The Three Laws of Performance, co-authored by Steve Zaffron, about reviving passion for accomplishment and creating success, was published. It reached a number of bestseller lists, including those of Business Week, Wall Street Journal, and USA Today, and was also a best-selling and most-gifted book on Amazon.com. 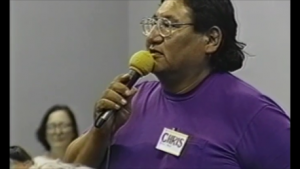 In April of that year, the Canadian Television Program “Positive Living” featured an inside look at The Landmark Forum, showing parts of the course being held and highlighting the difference they made for one participant. Actor Neal Patrick Harris acknowledged the impact of the Landmark Forum on his career in his 2014 book “Choose Your Own Autobiography”. In 2010, The Landmark Forum was positively reviewed in The New York Times, and soon thereafter, TIME Magazine also acknowledged the value of the program. At about the same time, television, film, and Broadway star Neil Patrick Harris commended the difference The Landmark Forum made in his life in a magazine interview. In April of 2011, Panda Express Co-Founder Andrew Cherng spoke on ABC’s Nightline regarding the difference The Landmark Forum has made for him and his employees, and why he recommends they all participate in the course. 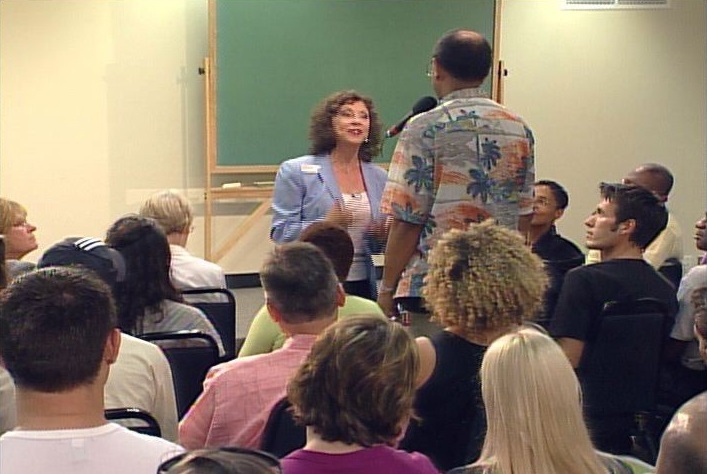 The same month, Landmark Forum Leader Dr. Nancy Zapolski and other graduates of Landmark’s programs were interviewed in The Wall Street Journal about effective communication, and in May of 2012, Landmark was glowingly reviewed by a writer from Psychology Today. 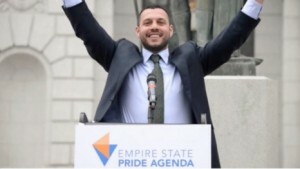 Landmark Forum grad Mathew Shurka has led in the movement to end the practice of gay conversion therapy. In October of 2015, a leading advocate against the practice of gay conversion therapy talked in TIME Magazine of how, out of participating in The Landmark Forum, he repaired his relationship with his family and reconciled with his father. One small part of Landmark’s redesign involved a new look and a new company name. Much of this media attention was taking place at the same time Landmark was doing fundamental work to examine and rework itself in major ways. In fact, in 2007 Landmark began the massive undertaking of redesigning every facet of its operation – its programs, business practices, facilities, infrastructure and more – inside of a new promise to empower people in what matters most to them and to provide an extraordinary customer experience. Groups that represented every aspect of Landmark – its customers, program leaders, employees, executives, and even potential customers – gathered to look at the most powerful ways of achieving this in every facet of the enterprise. In the nine years since then, company leaders have created manifold changes throughout the company. New programs have been designed based on best customer service practices and the latest advances in neuroscience. Landmark’s flagship program, The Landmark Forum, has been redesigned from top to bottom to make the course more coherent and add modern multimedia elements and a more satisfying customer experience. Landmark’s program leaders and people who assist at Landmark’s courses are ongoingly trained in providing extraordinary service in every interaction. Landmark has also dramatically increased its engagement with its graduates and the public through a variety of social media platforms, with over 128,000 people now following Landmark’s Facebook page alone. As part of the commitment to have Landmark’s ideas be easily accessible to people everywhere, Landmark now has a Personal Coaching Division, and certain Wisdom Course-area programs are available through teleconferencing. Even Landmark’s facilities have been completely overhauled, with many now having a modernized café area, video monitors, more comfortable chairs and new wall art. 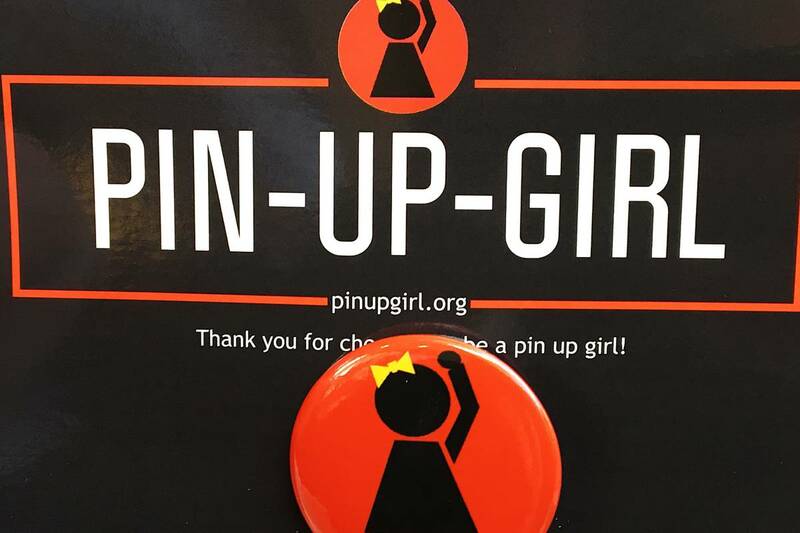 An SELP project called ADUNA is empowering women in Ghana by helping to popularize the fruit of the boabab tree. Educating children to prevent sexual abuse in Mumbai; giving refurbished bicycles to those in need in New Hampshire; creating a line of healthful, socially responsible foods that also provides income for women in Africa; opening kindergartens in Mongolia; creating musical events for deaf people in Amsterdam; planting 5,000 daffodils in New Rochelle, New York — Landmark graduates are transforming the world. Some of these graduates have been noted in the media and elsewhere for the difference they are making, often out of projects they undertook in a Landmark course. The Australian media, for example, have widely reported on R U OK? Day, created in 2009 by Gavin Larkin. 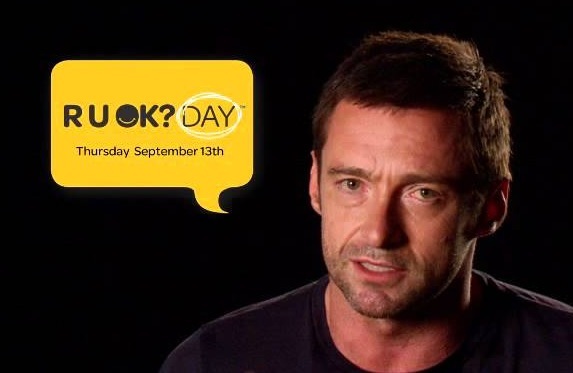 This is a national suicide awareness day, promoted by Hugh Jackman, Naomi Watts and others, initiated out of Larkin’s participation in Landmark’s Self-Expression and Leadership Program (SELP). Gashaw Tahir’s commitment to limit deforestation in Africa is another project from participation in the SELP. In March 2010, the U.S. State Department and the United Nations acknowledged his work of employing youth to plant one million trees. More recently, the Mumbai newspaper DNA India ran a full feature on local participants in the SELP, describing their projects and the difference they are making in areas such as empowering women, blood donation, and feeding the poor. Landmark Forum graduates have delivered numerous Ted and Tedx Talks around the world. TED talks and TEDx talks are other venues that have been showcasing the difference Landmark graduates are making in the world. Topics of graduate projects include having charities and non-profit organizations be more effective, empowering women, empowering sick children, eradicating racism, giving up secrets, exercising leadership, overcoming fear, forgiveness, and many more. Some of Landmark’s original leaders who contributed to the company’s standing and influence have recently passed away. Jerome Downes who was behind the explosive growth of Landmark in Asia passed away in December 2009 not long after leading the largest Landmark Forum in the enterprise’s history. Phyllis Allen, who played a critical role in the creation of Landmark’s Family Division, died in July 2014. Alan Edelman, who led The Landmark Forum to adults, teens and young people, died in December 2014. Jinendra Jain, a Landmark Forum Leader since Landmark’s inception, and a person who was responsible for Landmark’s Communication programs, passed away in June of 2015. Ron Zeller, a Senior Landmark Forum Leader and Advanced Course Leader, just died in March of 2016. Landmark’s first quarter century has given the world over 55 distinct programs that are delivered in more than 125 locations in 21 countries, impacting more than 130,000 participants a year. As Landmark’s programs give graduates newfound aliveness, and they in turn influence the people around them, Landmark’s impact continues to expand. What will Landmark contribute to the world over the next 25 years? Whatever lies ahead will be a creation, not derived from Landmark’s past, but an unprecedented undertaking, an authentic adventure, conceived from a wide-open future. Landmark and The Landmark Forum has had a striking influence. 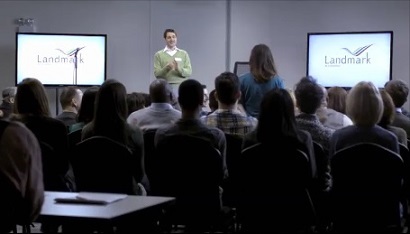 More than 2.4 million people have participated in Landmark's courses in more than 20 countries. The Landmark Forum has become a go to source for coaching in being effective in the most important areas of one's life. Learn about the 25 year history of this organization and it's programs. FYI: Correction: Alan Edelman died on December 10, 2014. I have been involved in Landmark, and before that in est, since 1977!! It has made a profound difference in my life. I was so sorry to hear of the passing of Phyllis, Alan, and Ron, all of whom I had personal interaction at one time or another. I remember assisting at a Young Persons Training with Alan when he took the stand that someday her would lead the program!!! I still assist at the Florida Center during the 6 months I’m in Florida. May the work continue to transform people’s lives for many years to come!! I am honor to have work with many of these amazing human beings and for have intensively work with the Latin community for 14 years and what i got out of that is the ability to create and invent a brand new life for my myself and my life and the must important to have been able to be contribute by all those people who coach me, came in touch with throught our introduction liders program and the seminar leaders program. Wish we could do the Holiday. Project again around Christmas and Hanukah . Keep evolving and growing, Landmark; the “experiment” called Humanity needs new realms of possibility. So proud to be part of this global community. There is no under-taking in my body of work that hasn’t been inspired and informed by my participation. Whether it’s my book, Beauty Bites Beast, my TEDx talk, my play, “Now That She’s Gone” and now, the documentary Beauty Bites Beast. This is huge achievement, from the establishment to rebrading of landmark. Congratulations to them and happy 25th anniversary. Their curriculum for living is something worthy for everyone. Happy Birthday Landmark Education! Thank you for the profound difference you have made to my life. Any programs, conferences or places where I can get more information about Landmark in California? How it works, what it takes to get involved. Landmark has 5 offices in California. You can look up the schedule of courses on the Landmark website. I did est training 1982, Denver,Colo. I was 25 yrs, now 59. I’ve had an amazing life every single day since and incredibly good health. Last year I was able to travel from my home in Australia to Aspen, Colo to thank the man who enrolled me in the training, he is now 87yrs and incredibly healthy too. It is inspiring how the Landmark Forum has grown through all these years. This course not only transforms your life but also motivates you to make a difference around the world. It talks about self-improvement as well as selfless deeds to make this world a better place. I did the course 3 years ago and I still am benefiting from the teachings of the forum. It is incredible how thousands of people come along and work for the betterment of the society. I have grown mentally and have become very considerate towards after the course. I think it was one of the best experiences of my life. Did 4 day Forum in Feb 1987 review in Jan 2014 as my own QUARTER CENTURY update. On organisation level big fan of how Landmark has been more than willing to take there own “medicine”in how they bring completeness to relationships. Restore Integrity and get things Done with velocity and alacrity. We have all heard that the landmarks courses have changed lives and made the impossible possible over the years, by spreading hope and building courage in the hearts of millions. I too was a part of this huge family that helped me create a difference in my life. I stood strong in sorrow and happiness because of what his course did to me. I was moved and encouraged to create a huge difference in others lives and so I decided to become a volunteer myself. Soon, I had touched hundreds of lives in some way or the other. Landmark taught me the pleasure of giving. Now I share my life with many unprivileged people and pledge to do good till I die. The landmark forum has inspired me alot. It has been 25 years; they served many people and I am glad I was one of them. Honestly, these courses have empowered me to look beyond myself and contribute to the society. I look back to the young man who was struggling with stage fears and now has a business of his own. I was fragile and shy, but thanks to the landmark forum, I have gained alot of sucess throughout these years. The landmark forum taught me how to fight my own insecurities and feel one with myself. I am very confident and satisfied in life. I learnt how to overcome doubts and look forward to new opportunities after each fall. Many of my friends and family have also made the most of this three-day program that altered their life forever. 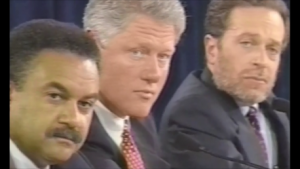 I participated in the Landmark Forum in August of 2000. What a treat. Many many breakthroughs in communication, personal relationships, health and career followed. Many many friendships and great times followed. Easily one of the worlds greatest adventures. What makes it so powerful is the brilliance of its simplicity. You get a chance to really look at your life and who you are from a radically different perspective. This is an amazing article. I lead some of Landmark’s programs from 1990 to 2005. I loved that time in my life and the contribution that leading those programs made in my life. Been loving this since Honolulu 1973…my son did the young people’s Est training with three of his friends at age 6. Phyllis Allen was his trainer. I waited with baited breath to see what he would say. He was born in 1975 with Moebius Syndrome, which involves cranial nerve defects, causing a partial eye and face paralysis and with some correctible orthopedic issues. After the est training he said: ” I though my problems were worse than most people’s. I got that I could be RIGHT or I could be HAPPY. I CHOOSE HAPPY!” He is extremely bright, talented, creative and has a 6 figure salary in a Silicon Valley tech career. Any thing is possible. My entire family and cousins have done the landmark forum so I was thought to do it. My weekend was filled with fun and learning. I saw things that I never could and achieved a better perception. At first, I would yell and argue but now I usually just let go. The level of patience and understanding has increased, my parents and friends have appreciated my behavioral changes a lot. Now things have to go easy and simple in my life all credits go to the landmark forum and the landmark forum in action. I did the landmark forum back when I used to live in India. It was my friend who had no problems in life and a great relation with her husband, and lots of money and she sais its all because of the landmark forum so I had to do it. I had so much fun but also got a ton of motivation to start my own business. I loved making sweets and started to sell these, soon after the forum I started getting orders from all round the city. I was so glad I took the tough step and started giving out samples. From weddings to parties, festivals and celebrations my sweets were enjoyed the most. Now I had to move when I got married and we went to japan for a couple of years so I though this is it with the business. I did the advance course then and decided to give my sweets to the Japanese to try and oh god, I received a much positive response here. I put up food stalls around and took orders online or through friends. My parents and husband are so proud of me. I have been living here and selling sweets since 5 years now. In the meantime I also did the self -expression and leadership program and cooked for the orphanage every week for years. It felt so good when they would compliment my cooking skills and hug me. Overall, my life changed after the forum. From a housewife to an entrepreneur; my journey not only has been incredible it also was a cakewalk, only because of the weekend forum. I was a divorcee and wasn’t open to a new relationship. The landmark forum helped me overcome my fear and start dating. I had many rackets from my past abusive relationship. I kept telling myself that I wasn’t good enough or things never went right for me. the landmark coach got me out of depression and during the landmark forum’s advanced course, I got the heart to start dating. Although I did not have great luck at the start everything worked out for me eventually. I am getting married soon and am very thankful for the forum and the volunteers, in fact, the entire landmark team for being such a great support.Hope many of you reading this will take up the course and spread the work for the betterment of others. I was a part of this institution/ education program and gained a lot of knowledge. The landmark forum has been famous amongst my friends as they have all benefitted from this course. I did the forum because all my friends were fans and wanted me to try it out. I did enjoy it at first and did the forum as well as the landmark forum in action. But after my advance course, I was asked to get people to do the forum. Activities like these made me very uncomfortable. The coaches did put pressure on me and so I dropped out and did not complete the self-expression and leadership program. I have learned many things but somehow did not gain much through these courses. I did the est Training in 1979 and have continued to participate with them nearly non-stop over the nearly 40 years since then. It was the most impactful, life changing experience I’ve ever undertaken. After the course I started asking for what I wanted with the result being a 20+ year career in working with everything from mainframe computers to desktops. I met, fell in love with and married the love of my life. We’ve been together nearly 39 years now and have weathered the roller coaster of (married) life in a way not possible without the tools (distinctions) of the est Training, the Landmark Forum, Advanced Course and many of Landmarks other courses. We are up to transforming what it is to be human; creating life where all people love all people and contribute to one another freely and joyfully. Where resignation and cynicism are things of the past and the planet is healthy. Just Be Cause. An extraordinary education for personal and professional growth.